Have you heard of anyone’s X-rays being sold for $45,000 at an auction? I presume a big NO! But, if the X-rays are Marilyn Monroe’s they apparently are! What is sold is less important but to whom it belongs is the catch. An admirer of Jennifer Lawrence, has bought the bra and sweater she wore in the movie, “Silver Linings Playbook”, during a scene where she is practicing her dance moves! Here is the list of such items. 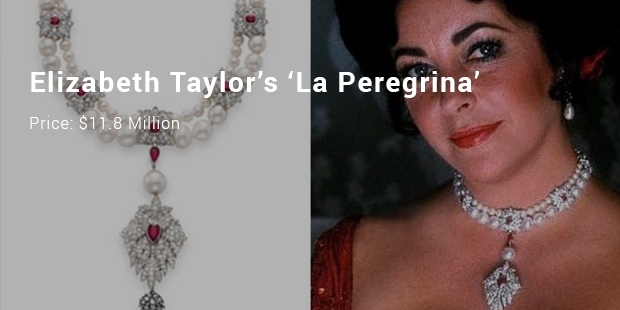 The first item on our list is a ruby and diamond necklace which belongs to beautiful and ravishing Liz Taylor. It was auctioned at Christie’s in 2011. 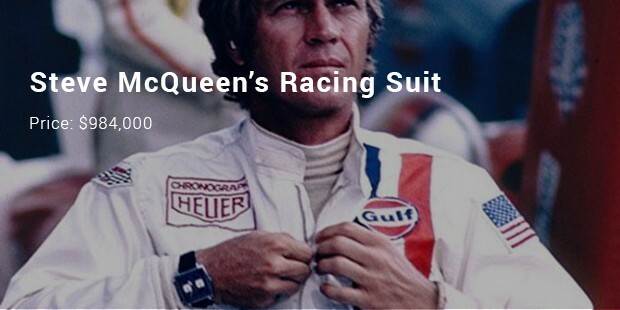 It pooled in a cheque of $11.8 million. 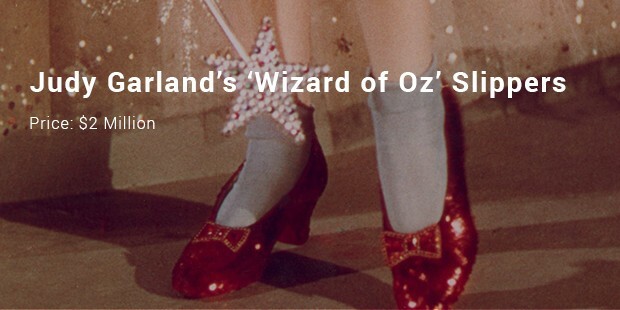 If something belonged to the diva, the glamorous Marilyn Monroe it has to be worth millions! 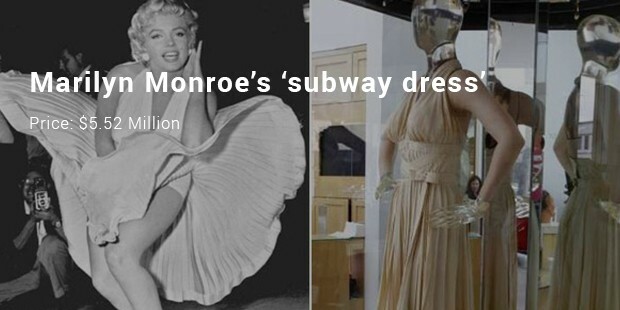 The subway dress worn in the movie, “The Seven Year Itch” was sold at $5.52 million at an auction. 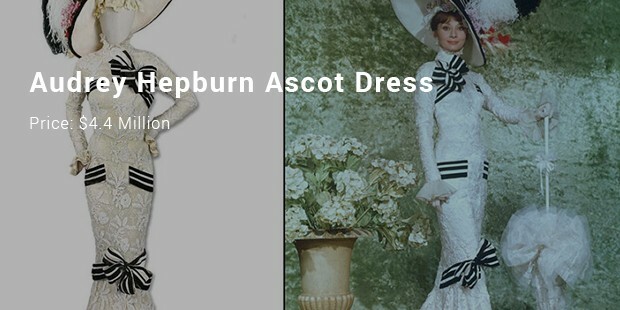 In the third place on the most expensive memorabilia list, we have the Ascot dress worn by Audrey Hepburn. It was a creation of Cecil Beaton. 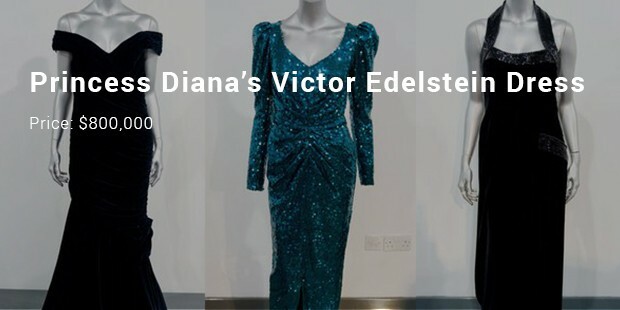 This dress fetched around $ 4.4 million. This engagement ring belonging to Jackie Kennedy was auctioned at Sotheby’s for $2.59 million. 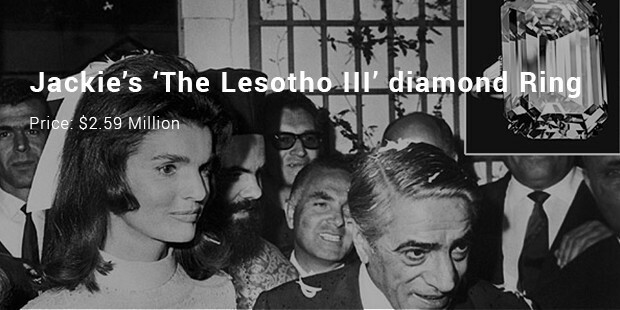 The diamond ring was sold when Jackie Kennedy’s estate was being auctioned. The diamond used is one of the finest and one of the biggest. 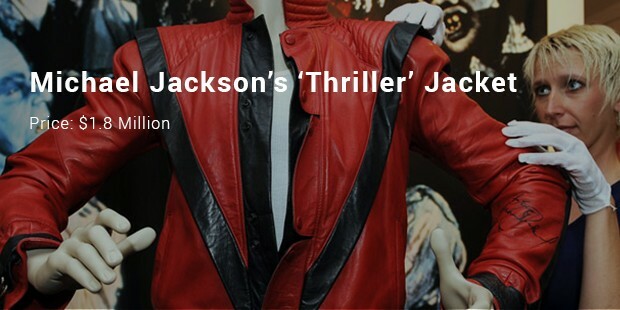 These memorabilia are absolutely gorgeous. 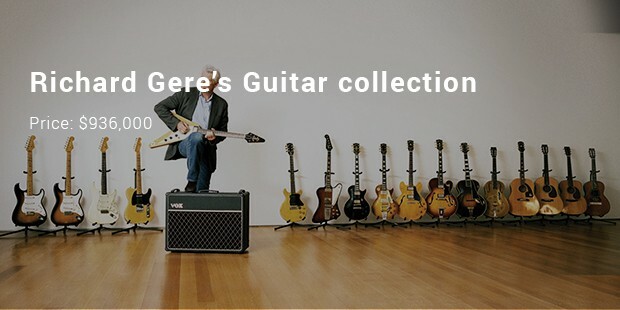 But the price, at which they have been acquired, shows how crazy people are about their favorite celebrities and can do away with any amount to own them. Possessing them, adds enormously to one’s status too!